It is essential and necessary to have information about the weather for many industries to avoid terrible consequences. The Tracking Eye.NET allows you to track the position of a storm. It requires internet connection to get updated and current information. 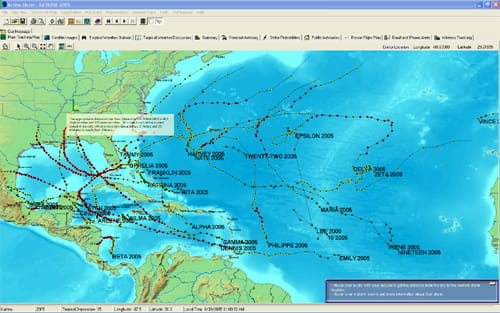 It offers you satellite images, information about the evolution of the storm, etc. It has a lot of features but the best way to discover them is to download it. Latest update on November 20, 2016 at 05:08 PM.